Two killed in Laikipia hours after security meeting – Kenyatta University TV (KUTV). All Rights Reserved. 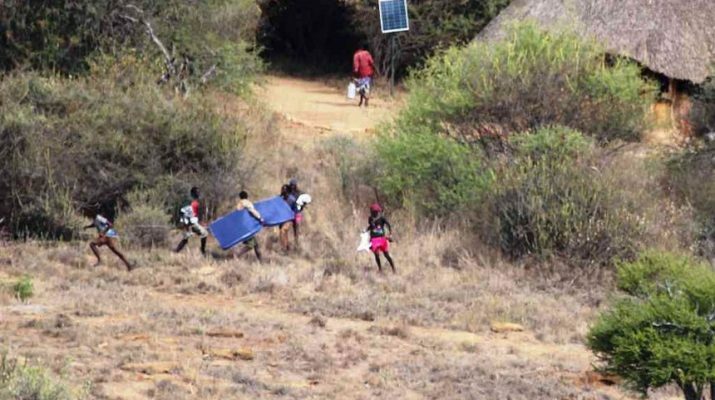 Two more people were killed in Laikipia after the government’s claim that the situation was under control and that invaders had left with their cattle. A staff member of the 44,000-acre Suyian conservancy was killed on Wednesday by armed raiders who were firing shots while trying to steal cattle. There was more gunfire at Suyian on Thursday when Pokot raiders clashed with Administration Police following a stock theft. On the same day, armed Samburu pastoralists shot dead a herder at the 16,500-acre Il Ngwesi group ranch owned by the Maasai community. The killings followed a security meeting in Nanyuki hours before. Laikipia county commissioner Onesmus Musyoki told the Nation that 150 pastoralists had been charged for illegal grazing and that 60,000 cattle had been driven out of Laikipia. He said the situation was not as volatile as portrayed but admitted that it remained serious in Mugie, Suyian and Kifuko ranches. All buildings at Suyian were burnt down at Suyian in attacks on January 30. They had been ransacked by about 150 Samburu and Maasai attackers a day before. This was after a five-man Anti-Stock Theft Unit section guarding the camp pulled out due to the overwhelming number of armed invaders. The invaders moved through the property, stealing what they could carry and vandalizing what they could not. Four months ago, Laikipia North was invaded by 10,000 Samburu herdsmen and at least 135,000 cattle. Wild animals have also started dying in Laikipia where the invaded conservancies have been stripped of grass leaving no fodder for them or for local ranchers who are now forced to buy hay.